All metropolitan entrants must attend a judging day venue, with the exception of the Creative Writing and Experimental Research sections. 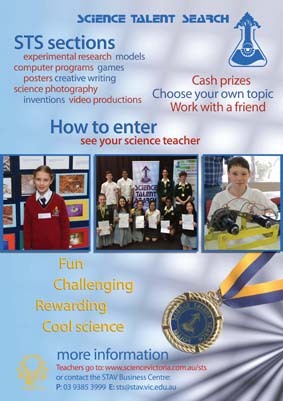 Entries for these sections must be uploaded electronically by the STS coordinator to STAV by the due date. Country entrants can choose whether to attend a judging day venue or submit their project in to STAV by the due date. All other entries are to be submitted electronically.